Keiko Hiromi’s “Monadnock Street,” a series of black and white photographs on view during the week of May 10 to May 14 at Doric Hall in the Massachusetts State House, features photographs of neighborhood residents, many of them first and second generation immigrants living in Dorchester, MA, where Hiromi also lives. 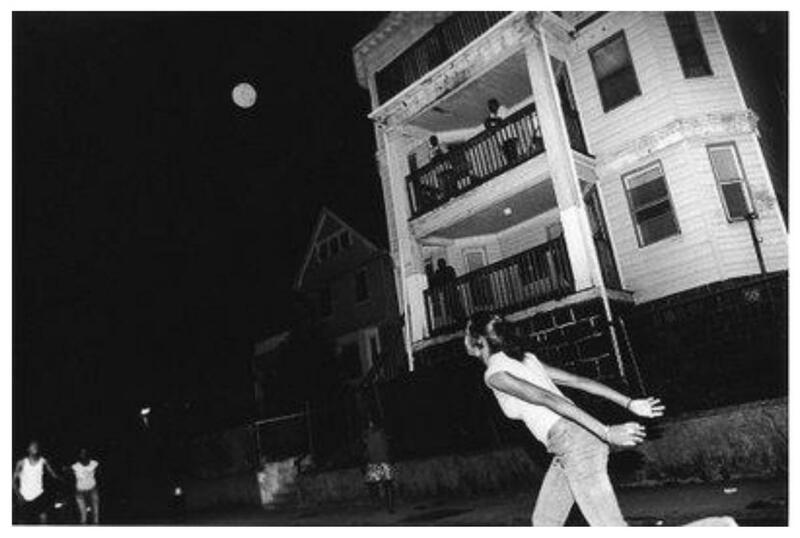 Her raw, yet sensitive photographs show the daily lives of the people who live on Monadnock Street. This series has also been exhibited at the Brookline Arts Center. Family friendly activities all weekend at Franklin Park, Boston Nature Center, Arnold Arboretum and Forest Hills Cemetery. 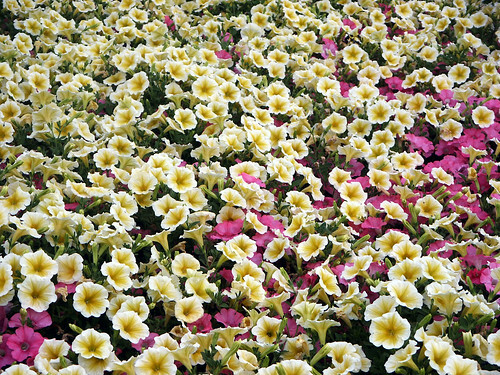 Festival Kick-off is Thursday, May 13th 6:30pm-9:30pm at Forest Hills Cemetery. 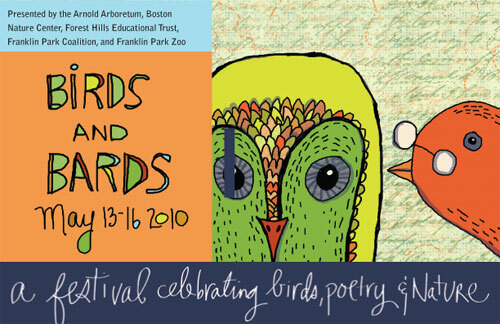 Enjoy a Twilight bird walk, improvisational jazz, and noted naturalist author, Peter Alden. Enjoy Codman Square Health Center's Spring Fair! Vendors include: unique hand crafted jewelry, arts &crafts, pocketbooks & wallets, books, African attire, specialized baskets for all events, scented oils and lotions, health products, crafts, cosmetics, cakes, clothes, a farmers market, and much more. 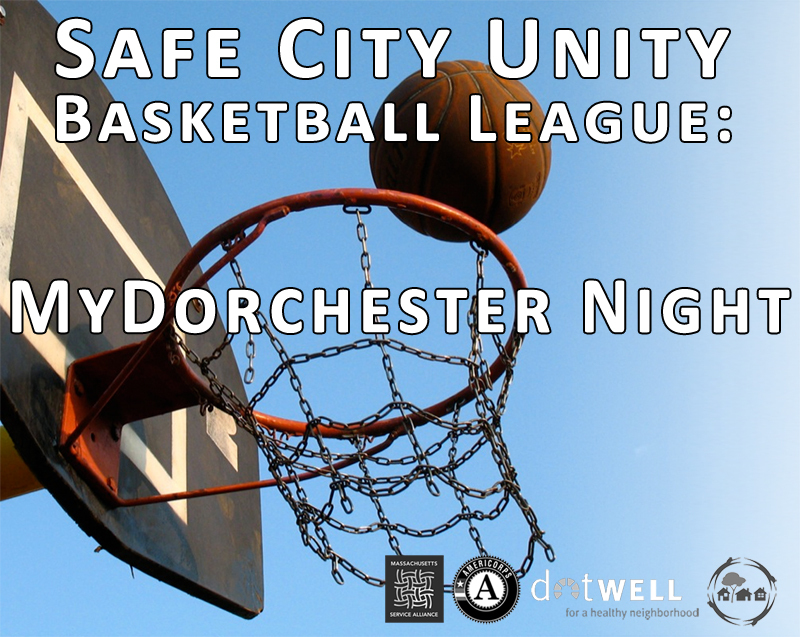 This Monday, May 10th, 2010 from 3:30pm – 8pm at Dorchester House Multi-Service Center Gym. Free Raffle for Gift Certificates to Dorchester Businesses! 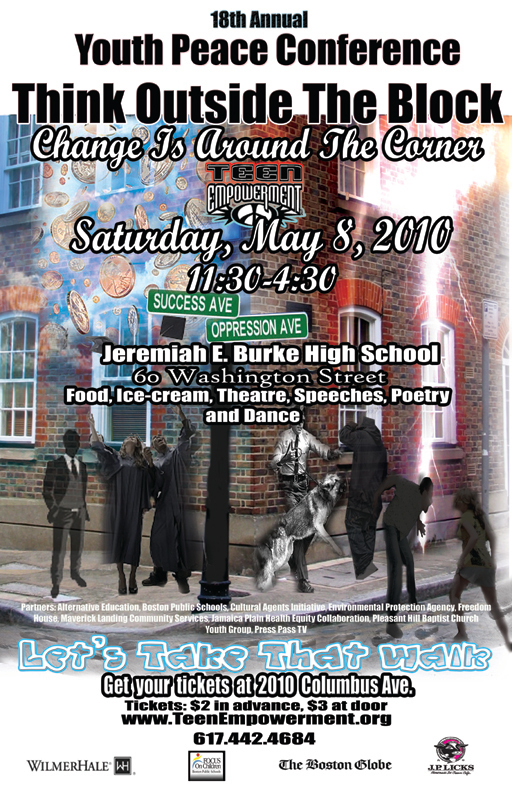 On Saturday, May 8, 2010, some 700 Boston youth will come together at Teen Empowerment’s 18th annual Youth Peace Conference, Think Outside the Block, Change is Around the Corner at the Jeremiah E. Burke High School, 60 Washington St., Dorchester from 11:30 a.m. to 4:30 p.m. Click the image at right to see the full size flier. Residents are advised to "flush" their water following the lifting of the boil order in order to clear plumbing of potentially contaminated water. Flushing your household and building water lines includes interior and exterior faucets; showers; water and ice dispensers; water treatment units, etc. * Cold Water Faucets: Run tap water until the water feels cold, 1 minute or more, before drinking, tooth brushing, or using for food preparation. You are invited to join the Dorchester People for Peace in the STAND AGAINST RACISM with the YWCA and more than 2000 other organizations across the country in national day to promote diversity and equality. On Friday April 30th at 7pm in the Community Room of the Mt. Washington Bank, 305 Talbot Ave, Codman Square, Dorchester, there will be a showing of "Blue Eyed, Brown Eyed." This documentary follows a group of 40 teachers, police, school administrators and social workers in Kansas City - blacks, Hispanics, whites, women and men as the participate in one of Jane Elliot’s workshops. 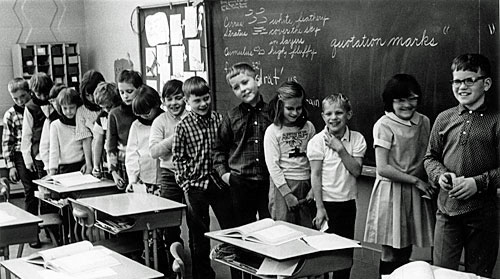 Based on her work with school children in the 1960s, the blue-eyed members are subjected to pseudo-scientific explanations of their inferiority, culturally biased IQ tests and blatant discrimination. In just a few hours under Elliott's withering regime, we watch grown professionals become despondent and distracted, stumbling over the simplest commands. This is an award winning documentary which offers viewers a chance to watch a full-length workshop with America's most dynamic diversity trainer, Jane Elliott. Looking for a great summer job? Join Action for Boston Community Development for the SUMMER JOBS KICK OFF! The Event will be at the Reggie Lewis Track & Athletic Center (1350 Tremont St. Roxbury Crossing) on Thursday, April 15 from 2:00 PM to 5:00 PM. Stories, songs and activities designed to reinforce the building blocks of reading. For ages 2 1/2 to 5. Includes children's performers -- call for details. Children must be accompanied by an adult. 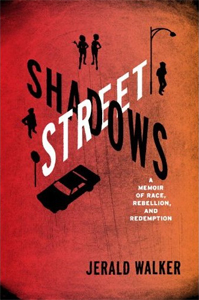 Come hear and meet Jerald Walker, author of Street Shadows: A Memoir of Race, Rebellion, and Redemption, at the Mattapan Branch Library (1350 Blue Hill Avenue).